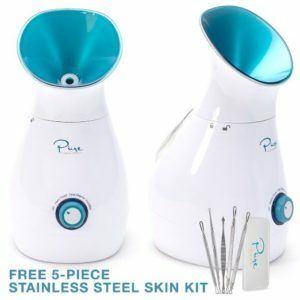 This fabulous facial steamer combines both steam and an ultrasonic vaporizer to produce nano steam particles with negatively charged particles. This formulation makes the steam 10x more effective at penetrating your skin, so it can more easily unblock your pores and remove all of the pesky toxins and debris that clog your skin. Built in towel steaming chamber. 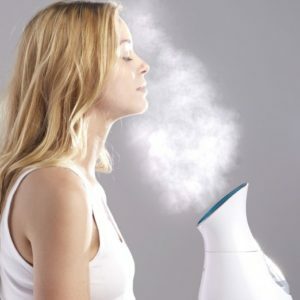 Can be set to facial steamer, humidifier or towel warming modes. Clears sinuses and nasal congestion. Nano-ionic steam is 10x more effective in penetrating your skin. Includes a bonus 5 piece skin kit. Has a temperature control dial. Precise control knob to easily set your preferred setting. Comes with a water cup and user manual. What can this Nano Ionic Facial Steamer do for your skin? All of us can benefit from clean, healthy skin and there are many ways to achieve this at home, from face masks, to facial peels and facial steamers. The one benefit that all of these skincare solutions have in common is that they clear out your pores and give you back your healthy, clean skin. Pores blocked with dead skin cells and other debris can form white heads, acne and blackheads. This makes your skin look dull and tired, unhealthy and just plain old! Clearing out your pores and removing all of this debris is essential for your skin to look healthy and bright once again. 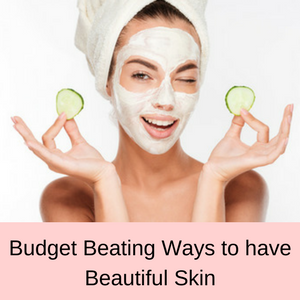 There is no point in spending squillions of dollars on expensive skincare products that just sit on top of your skin, because your blocked pores prevent them from being absorbed. Clearing out your pores and removing all of the dead skin cells allows your moisturizers and other products to be absorbed more easily into your skin, increasing their efficacy. So a facial steamer helps to clear your pores, remove dead skin cells and debris and helps your other skincare products work better as well. This Nano Ionic Facial Steamer just does the same job more effectively and faster. Don’t forget that you can turn the dial on the front of the machine to either facial steamer, humidifier or towel warmer. This means that you can clean your skin on the facial steamer mode and clear your sinuses on the humidifier mode. You can also have fresh moist towels ready when you are ready to remove your facial mask (it can only be used in one mode at a time). FYI: The manufacturers recommend that you use distilled water in the water chamber and do not add essential oils or anything else to the water. What do customers think about this Nano Ionic Facial Steamer? 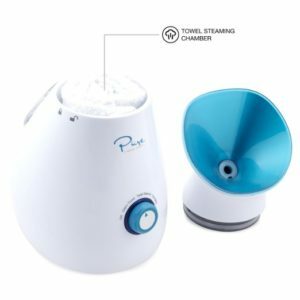 Whilst this facial steamer is a Best Seller on Amazon and nearly 90% of all customer reviewers give it 4 or 5 stars, some customers have found a few problems with this facial steamer. These are that the steam isn’t as full on as in the advertised photos and it is quite inconsistent, and that you can’t change the angle of the steam. Other than these issues, the vast majority of customers like this facial steamer and find that their skin is much softer and cleaner. Love my new steamer. Everything I expected! Very nice, in fact nicer than I was expecting. It is definitely professional grade and provides a constant flow of steam. It works grest as a humidifier. I love the separate space they provided to store the towel. Perfect amount of steam released. Cannot ask for better. Nice! Simple to operate, simple to use, great results! For less than $40, the Nano Ionic Facial Steamer is at a great price point and makes a great addition to your beauty routine and a fabulous gift for friends and relatives. It has three different functions, so it is even better value for money. You have a facial steamer, a humidifier and a towel warmer. This machine is easy to use and to clean, has a 200ml capacity water tank and gives you around 30 minutes of operation. Use it daily to keep your skin clear and your sinuses unblocked! Some customers have found the steam inconsistent and have been disappointed that you can’t change the angle of the steam. However, most customers like this 3-in-1 facial steamer and find it great value for money. To read more of my Featured Articles, click here.